Wherever you need a court reporter, whenever you need a court reporter, Collins Reporting is available 24/7. With over 30 years in business, you are guaranteed an experienced and NCRA (National Court Reporters Association) certified court reporter to deliver what you need. From California to New York, with our extensive network of court reporters nationwide, you can depend on us to schedule a reporter for all your reporting needs. 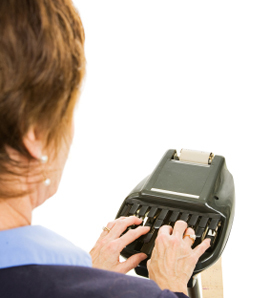 At Collins Reporting, our court reporters have extensive expertise in the legal arena. From depositions to arbitrations, meetings to conferences, we’ve got you covered.